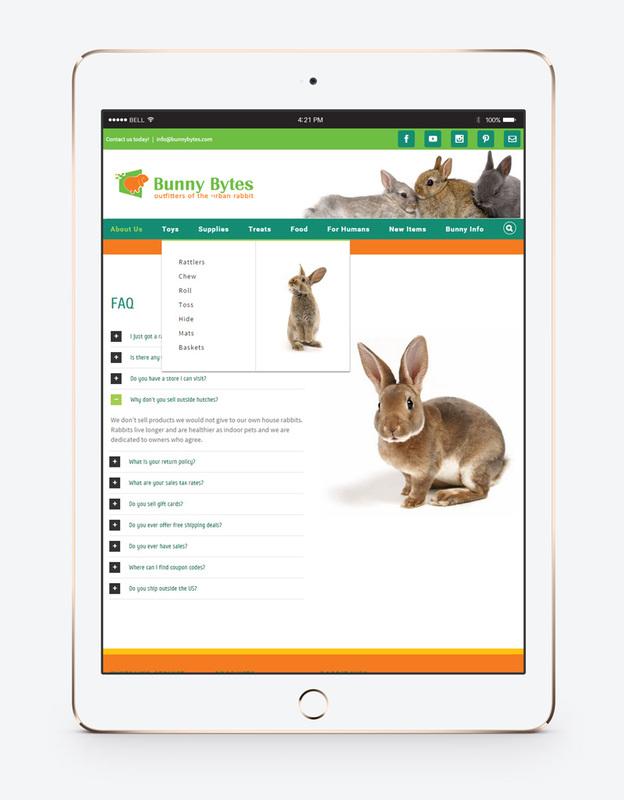 Bunny Bytes is one of the most complete pet stores for rabbits anywhere. They provide products that are safe and healthy for house rabbits and fun for bunny owners. They have been operating on a website and design that were created in the 90s. After discussing and creating several options for their logo, we decided to just rethink their current logo and give it a new, modern look. We also created a color pallet to better reflect their product and add vibrance. Now we are working on their website redesign, incorporating fun, clean images and a design that can help them grow their business. We are using Worpress to make it easier for our client to manage and because it can grow with our client’s business.